Over the past 2.5 weeks, I have had the privilege of conducting professional development seminars for nearly 700 administrators, teachers and parents from 15 different schools around the country. During these sessions I asked a series of questions to which I received nearly unanimous answers. As we discussed the purpose of education, I asked each group a simple question. What does preschool education prepare the children for? 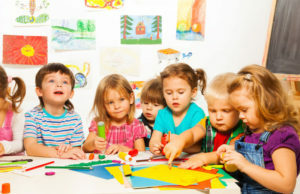 Without hardly any hesitation everyone in the session replied, Preschool education prepares children for kindergarten. From this response, I concluded that parents and educators believe that all education is an effort to prepare children for something that they see as important in the future. With everyone in agreement on this answer, I proceeded to ask a progression of additional questions. Here are the questions and the answers I received. What does kindergarten prepare children for? Answer: Most said it prepared them for first grade while the others were more generic and said elementary school. What does elementary school prepare children for? Answer: It prepares them for middle school? What does middle school prepare students for? Answer: Middle school prepares them for high school? What does high school prepare students for? Answer: High school prepares students for college? Here is the conclusion I came to from these discussions. The main purpose of schooling is to simply prepare students for more schooling! I believe this is how most parents look at the education of their children and youth. Parents send their children to school as early as possible. Why? So that they will be ready for more schooling. In fact, if you ask parents if they want their children to get a good education, you will always get a strong YES. However, when you ask them why they want their children to have the best education possible, the most common answer you will receive is so that they can get into a good college. In other words, schooling has become an unending process of preparing our children for more schooling. It is no wonder that so many graduates leave high school with no real purpose for their lives — other than to go to college. When the purpose of schooling is to merely prepare a child for more schooling, the child fails to understand how he/she has been created by God for a purpose. I have heard my friend, Pastor James McMenis, repeatedly saying, Every person is a PURPOSE with a name! As a new school year begins across the US, I am challenging every reader to ask himself/herself a couple of questions? Am I simply trying to prepare my children/students for more schooling? What are some more meaningful purposes that should be the basis for how I educate my children/students? What do I need to change as I guide my children/students to understand their purpose as I teach them either at home or school? Next week I will present a few goals that I believe must be the driving force behind the education we give our children and youth. Please share your thoughts on this important topic below. Your questions are really important questions when one considers how spiritual formation develops in young children. During the preschool years a child’s understanding of the existence of God and what he is like is established by the faith routines he or she is exposed to. Images presented, feelings activated, and stories told related to faith establish lasting worldview foundations that are difficult to undo. Preschool experiences have significant impact on a little one’s view of God and the relationship with him. Every preschool is providing worldview education whether it is articulated or not. Thank you for your thought provoking questions! Annie, Thanks for making the point that all education shapes a child’s worldview. Appreciate the work that you do. Mark, Well said as usual. Keep up the good work in Eastern Canada. This train of thought inevitably leads to the cycle of “Why do you want this job?” “Because it pays well.” Which leads to the next job that pays slightly more, etc. etc. Statistics show that Millennials will average 27 jobs in their lifetime…..and we are surprised? Education and careers are to find our purpose and path to building God’s kingdom. Joel, Great points. Thanks for sharing with these with others. You are absolutely correct on what education should focus on.